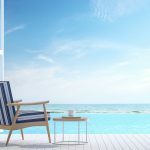 Home » Blog » Summer Safety Tips! Parents, please watch your children! Never let a non-swimmer rely on pool noodles or floaties in the water. These are considered toys and should only be used when you are in arm’s length of the child. Non-swimmers should only wear Coast Guard approved life jackets and make sure they fit properly. Alcohol and pools do NOT mix! Always appoint a water watcher who is not consuming alcohol. Guests should not be permitted to consume alcohol and use the pool as well. Never let your child out of your sight. If you need to leave the pool area, bring your child with you. A lifeguard is NOT a babysitter. The lifeguard is designated to watch the pool and the patrons in their zone. Watching your child is not their only duty. Review pool rules. Make sure you have pool rules in place at your own pool and your children and guests are aware of those rules. Put down your phones, tablets, and readers! Give your children your undivided attention when they are in the pool. Make sure your gates, fencing, and barriers are intact and operational so your child or someone else’s can’t sneak away or into your pool. Use sunscreen. Reapply every two hours. At the first sound of thunder, get out of the pool! Do not reenter the pool until 15 minutes after the last sound of thunder or last visual of lightning. Shower before entering the pool. Remember to take bathroom breaks. Both of these will help prevent recreational water illnesses from spreading. Enroll your children in learn to swim programs today!